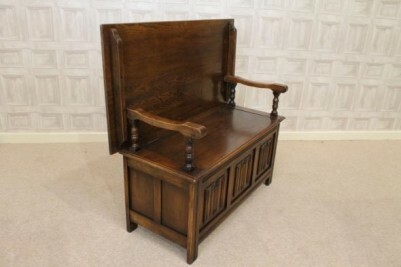 A traditional circa 1920s English oak settle bench. 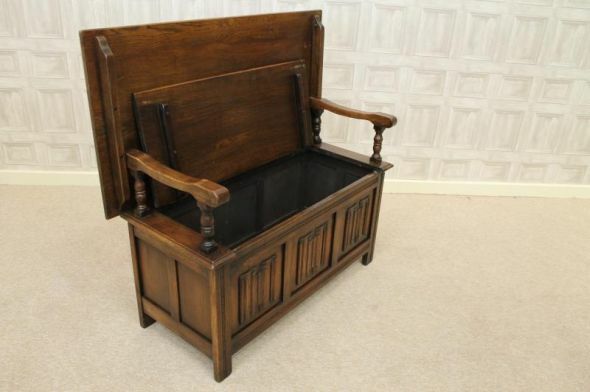 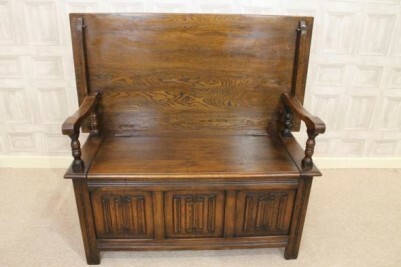 This solid oak monks bench is a truly convenient piece of furniture. It can either be used as a seating area with storage below, or it can be transformed into an attractive side table. 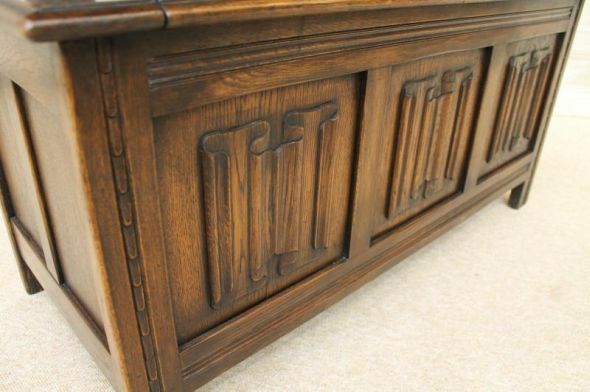 The panels below the seat of the oak settle bench are decorated in a linen fold design which makes this an impressive piece for any large hallway or living room. 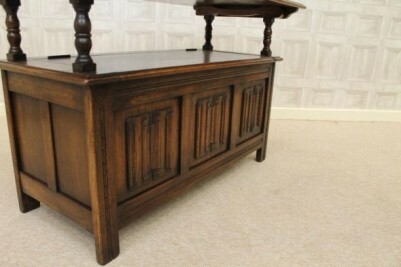 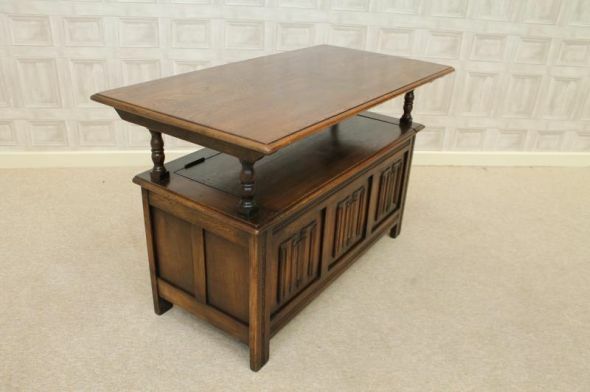 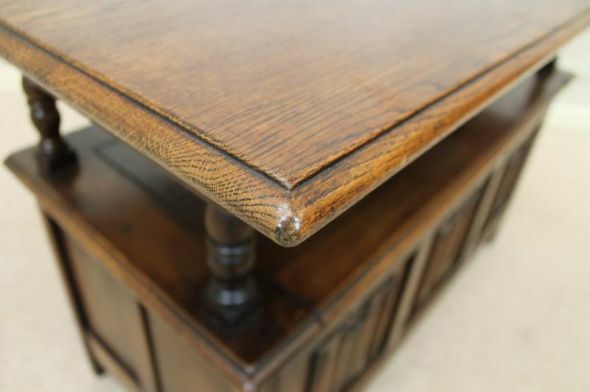 This solid oak monks bench is in good condition for its age; an ideal piece of 1920s furniture for any period interior.